Have you ever noticed that the most microscopic trace of negativity holds a disproportionate amount of impact? Whatever form negativity takes, it does a quick work in a bad way. Negativity fizzles enthusiasm, hurts hearts, and steals joy. A negative word adversely changes the atmosphere of our home or a person’s heart. Worst, negativity is infectious. It goes viral faster than a video of a deployed soldier’s surprise homecoming. I’m not sure why it’s so dang easy to be negative, or why a critical word slips between my lips with such ease, despite my intentions. But I’m determined to fight it. To do my part. And to pray for God to change my heart. Because as Luke 6:45 points out, it’s “out of the heart the mouth speaks”. The most powerful thing we can do—that changes the very atmosphere of our hearts and squelches negativity—is to cultivate intentional gratitude. 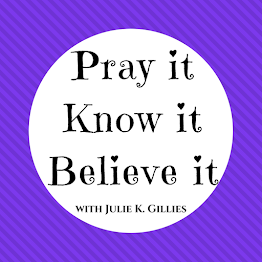 And what better time of year to prayerfully practice this than now…with Thanksgiving on the horizon? 1. Before your feet hit the floor each the morning, whisper a sentence of gratitude to God. Lord, thank you for Your peace. Or, Lord, thank you for your fresh new mercies this morning. Whatever you need or whatever He has already done for you, turn it into a simple prayer of thanksgiving as you swing your legs out of bed. This sets the tone for a day of gratitude. 2. Ask the Lord to help you recognize and notice everyday blessings all throughout your day. Then thank Him specifically. Have a full pantry? Thank Him. Did you enjoy that talk with your friend? Thank Him. Whether it’s a hot shower, sunshine streaming into your windows, a beautiful breeze or a car that works, notice it and express your gratitude. Make this a daily habit! 3. Thank those around you for simple gestures. Did your spouse take out the trash? Thank him. Did you child actually put their cup in the dishwasher? Thank them. Did your mailman lug a large box up your driveway? Thank him. People love to be noticed and appreciated (I sure do! ), and expressing our thanks to those around us (even for small things) is a great way to encourage others while cultivating our own heart of gratitude. This November, let’s take our gratitude efforts to the next level. As we each prayerfully cultivate intentional gratitude this month, it will become a holy habit—one that squelches negativity and changes the atmosphere of our hearts and homes. And that is something to be thankful for. The "I'm So Thankful for YOU Giveaway"! You are the absolute best, and I truly appreciate you, my awesome readers! 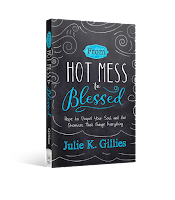 I so love receiving your notes of encouragement, your comments, and your emails, so I'm giving away a signed copy of From Hot Mess to Blessed. TO ENTER, leave a comment along with your email (so I can notify you if you win!). Winner will be notified via email by Friday, November 17. I struggle with gratitude and this is very timely. It's been timely all year - my church's theme for the year is "this is the year of GENEROSITY" ! Thank you for the 3, easy to implement, suggestions. bward4071@yahoo.com. Grateful for my Lord and Savior who generously surrounds me with His love showing me grace love and mercy! Thanks Julie for your book offer! Your encouragement regarding overcoming negativity washes my soul. My heart’s takeaway - to practice gratitude in small things. I started a gratitude journal years ago and gave $1 journals to over 70 women to start their gratitude journal. Unfortunately, I haven’t kept up the habit. 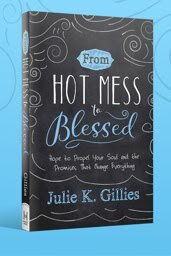 Thank you for the reminder and I would love to win a copy of Hot Mess to Blessed! 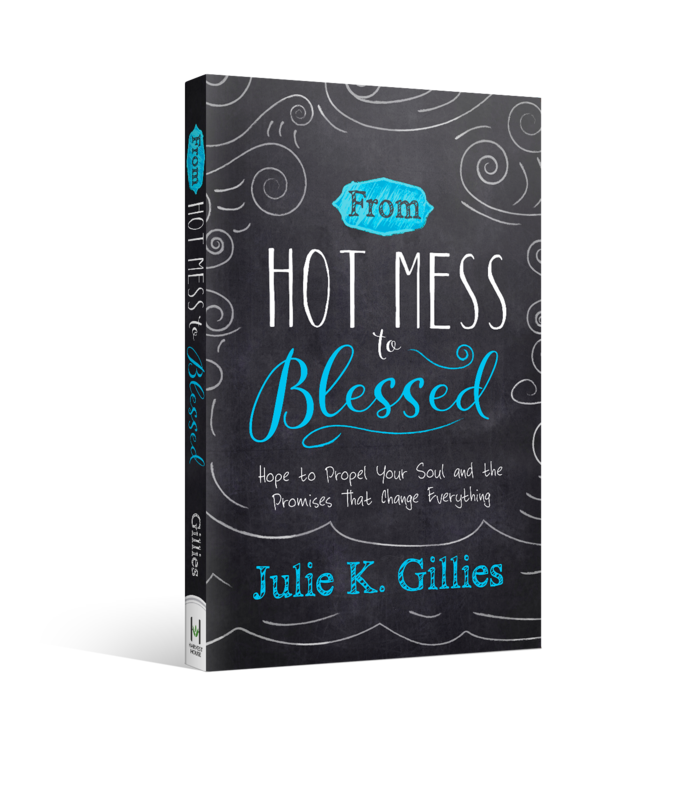 Lately I have been more of the hot mess. Thank you! I sooo needed this today! You have such a wonderful way of getting right to the heart of the matter. 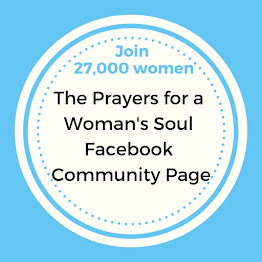 I am grateful for you and how you speak to my heart and help my soul want to seek God more. I needed the encouragement so much today, thank you. I have been in one of those mods of being negative and hateful to my family lately. It is so easy to get down and negative sometime. I really want to be better and this and make it infectious to the rest of my household. I thank God for your post and the great reminders. There is no better way to start and end each day than with an attitude of thankfulness. Thank you for the encouragement! I got off track on my daily blessings journal for a while, but I'm getting back into it. I love keeping my eyes open for God's hand in my life; it makes it easier to show more gratitude. Really, really good stuff! And yes, despite our efforts to be kind and intentional, the negative stuff just falls out when we are pushed to our limits, or pressed for time, or stressed, etc. Lord, thank you for your grace. Please help us give the same to those that hurt us, rather than hurting them back, or cutting them with unkind words. Gratitude is an attitude! Enjoy your blog! The applications and action steps are great. Please enter me in The "I'm Thankful for YOU GiveAway"! Gratitude changes everything, doesn't it? I believe I am the world's worst to allow negative comments from others take over my life. This would be a great help. The older I get the more fragmented I fell. Your book sounds like a positive step. As a grade school teacher I find my tone sets the tone for my class. This month I am working hard to point out the positives and blessings so that they will notice them too. Thank you for reminding us that we are not alone and that God doesn't care if we aren't perfect. He loves us unconditionally! We are all hot messes, but as long as we work on it, everything will be alright. Yes I want to practice this more! Thank you! Thank you for the giveaway. I am struggling mightily with being grateful because a lot of family issues - things that aren’t fair. Situations where I am having to bear the burden or pay a price for the bad and intentional decisions of others. All on top of moving out of state. I’m tired, and tired of being angry and bitter all the time. Thank you for offering a giveaway! Would so love to win this book which I’m sure help curb the impulse to be negative which i very easy to do! 1. Before your feet hit the floor each the morning, whisper a sentence of gratitude to God. 2. Ask the Lord to help you recognize and notice everyday blessings all throughout your day. 3. Thank those around you for simple gestures. 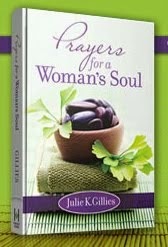 Julie thank you for your devotional posts and this giveaway. Love reading your devotions they always seem to be what I need for that day.